Do you sometimes get stuck on what gifts to buy others? Are you so busy with work you have little time for checking out the shops? 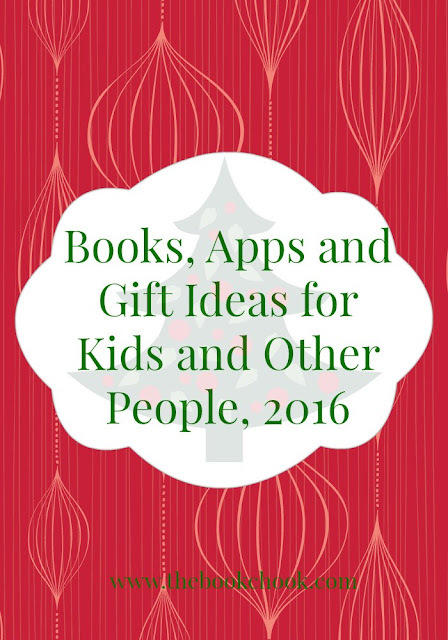 With gift-giving time just weeks away, here is my LONG list of very special books, apps, and other gift suggestions for toddlers through to adults. Below my book reviews, I have provided extra suggestions for gift ideas I think would “pair” or accompany the books to make your gift even more special and often to extend the literature experience. I provide links to websites where you can find more information, or even buy a product, but I am not affiliated with any business here, just trying to make life easier for anyone who is time-poor. Books make great gifts, but even better is reading with our kids, and doing everything possible to help them love reading! A mother duck and her five little ducks waddled out one day. Onto a bridge, then- ducks away! 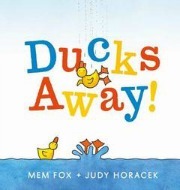 One for the very youngest and sure to become an oft-requested favourite, this charming picture book provides a possible explanation for the rhyme about Five Little Ducks. Kids will love Fox’s simple, but energetic and fun text, perfectly complemented by Horacek’s cute red, yellow and blue on white uncluttered illustrations. **Pair it with a CD containing the song, Five Little Ducks, and perhaps a duck toy or puppet. It’s winter time and Noi’s island is covered in a blanket of snow. Even the sea is icing over. Noi is worried about the little whale he saved last summer: Can he survive the harsh conditions? Little does Noi know that it’s the little whale’s turn to save him. A magical and touching story about a lasting friendship. A truly beautiful work packing a real emotional punch. I am growing to love Benji Davies’ books. You can read about The Storm Whale here; Grandad’s Island here; and On Sudden Hill (illustrator only) here. In The Storm Whale in Winter, we meet Noi again, only this time the Storm Whale and his family come to help Noi. With a few carefully chosen words, Davies’ helps us see the world through Noi’s eyes and feel his worry, fear and relief. Kids will put themselves in the young hero’s shoes, and enjoy the different perspectives in each scene. A truly beautiful story and illustrations that stay with us long after the book is closed. **You could pair The Storm Whale in Winter with a plush toy whale or a boat. What Could it Be? Exploring the Imaginative World of Shapes by Sally Fawcett, published by EK Books (2016.) RRP: $Au24.99. The first spread in each pair introduces a basic geometric shape (square, circle, triangle, etc.) and then opens the door for creative thinking by posing the question, ‘What else could it be?’ The following spread provides the answer, with the focus shape transformed into many objects in a glorious artwork. These pages provide a further interactive element as kids are encouraged to find specific objects and count the ‘hidden’ shapes. The reader is guided through the pages by the character of a young boy, who allows many aspects of his world to be ‘discovered’ via the detailed illustrations. The last page challenges kids to create their own illustrations inspired by a geometric shape. Here’s an educational and fun children’s picture book that encourages primary school kids to both use their imaginations, and become more aware of mathematical shapes in their environment. Thumbs up for any book that encourages children to open their minds to all sorts of possibilities with shapes, and also to create with shapes themselves. It’s a simple concept, not daunting for less enthusiastic readers, and well-executed. **Wooden blocks, wooden pattern blocks, foam shapes or shape magnets would all be a great pairing with What Could it Be? and all have the potential for even more educational play. Also see my review of the app, RelationShapes, below. A magical tale that will delight all ages. I love to find children’s books written in what I call strong rhyme and rhythm. This really helps kids who are learning to read by being an aid to memorisation of the whole text, one of the steps on the road to independent reading. My Magnificent Jelly Bean Tree is also a testament to the power of imagination. What child wouldn’t love to grow his own jelly bean tree! Parker’s colourful, whimsical illustrations very much enhance this charming children’s picture book. **A small packet of jelly beans, some gardening tools and lots of assorted cardboard boxes for building a jelly bean house would be a great pairing with My Magnificent Jelly Bean Tree. Molly and Mae by Danny Parker and Freya Blackwood, published by Hardie Grant Publishing (2016.) RRP: $Au24.99. This beautiful children’s picture book reminds us that growing up can also be about learning social things like how to be a good friend. Molly and Mae are friends who are going on a long train journey. We are caught up in the joy of being a child about to start an exciting journey - running around, playing hide-and-seek, exploring all the vending machines, and other giggly, giddy fun. Once the journey starts, we see Molly and Mae’s antics begin to pall on other passengers, until finally, like over-wrought kids everywhere, they get annoyed with each other and slump into boredom. The sullen sky and rain make the outside world echo their inner world. At last, they find a way back to each other and their friendship becomes strong again. The train journey’s stages become a metaphor for the children’s fluctuating friendship, and I know both kids and adults will recognise moments in their own lives when words can harm or heal. **A little train set would be a great pairing with Molly and Mae. A fun and dynamic look at what life would be like for dinosaurs if they were roaming the Broome coastline today! Reflecting the famous colours of north west Australia and its rugged environment, the textured collage layers of artwork capture the character and beauty of the dinosaurs, birds, and marine life that roamed the Kimberley coastline more than 130 million years ago. I love Bronwyn Houston’s art work. In this fun children’s picture book, she explains that dinosaurs used to live around the Kimberley coast in Australia. Then she prompts us to wonder what life would be like if they came back to the Broome area to visit. In glorious colourful collages she imagines what the dinosaurs would do and enjoy today if they roamed, swam, went to movies and interacted with the locals. I think all kids will enjoy the concept and the humour in Return of the Dinosaurs, but young dinosaur-lovers will grab it with glee. There are Teacher Notes available to support the book. **Dinosaur figurines would make a thoughtful choice to pair with this book. One, two, three. One, two, three. Why won’t someone play with me? Heidi is a stick insect, long and thin like the twig of a tree. It’s her first day at Bug School, where she hopes to learn lots and make new friends. But no-one will talk to her... and no-one will play with her at lunch. No-one even notices her! Perhaps she’s blending into the twigs a little too well? Luckily, Miss Orb comes up with a plan to help Heidi stand out. Twig really tugged at my heart strings. Anyone who has known an invisible child whom people tend to ignore will rejoice in the eventual positive outcomes for Heidi, the stick insect who goes to Bug School. The illustrations are simply gorgeous, and kids are encouraged to find various creatures in the end papers. Highly recommended! **Perhaps pair this with a decent magnifying glass or bug catcher. 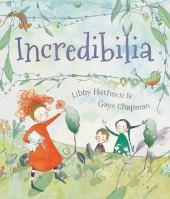 Incredibilia by Libby Hathorn, illustrated by Gaye Chapman, published by Little Hare/Hardie Grant Publishing (2016.) RRP: $Au24.99. Such a deceptively simple yet profound story! There is nothing there to tell children explicitly of the benefits of sharing, or of collaboration. Nonetheless, children may well think about the power of imagination, playing together, and acceptance of each other after reading it. Hawthorn has gifted us with a picture book that children will delight in listening to, and poring over each page as they read it to themselves. **Accompany this book with an offer to help your child set up their own special world for make-believe play. Everyone’s favourite Pug is here to spread some holiday cheer. And he has a very long list for Santa! From the multi-award-winning picture-book creator Aaron Blabey comes another fabulous story guaranteed to make you laugh out loud! An ideal readaloud, it is perfect for teaching children about manners and Christmas spirit. Kids love books about naughty, greedy Pig the Pug. In this latest romp, Pig has a VERY long list he wants from Santa, and he is not impressed when Santa doesn’t fulfil his list. Being Pig, he takes matters into his own hands teeth, and bites Santa! Kids will laugh aloud, but perhaps be gently nudged into thinking about gift-giving and receiving. In this hilarious first collaboration from Jory John and Lane Smith, a penguin levels with human readers about what penguin life is really like... and it isn't all fun and games! Have you ever considered running away to Antarctica? Of course you have! Because it's a land free of worries and responsibilities! Think again, my friend. This penguin has come to tell you that his life down there is no picnic. For starters, it is FREEZING. Also, penguins have loads of natural predators. Plus, can you imagine trying to find your mum in a big crowd of identical penguins? This book is sure to tickle all funny bones, and will elicit appreciative sighs from the adults reading it aloud, too! Penguins must be one of the most loved animals on Earth, so penguins are not rare in children’s books. But choosing a penguin with attitude as the main character is brilliant - this fed-up little guy is determined to let us know how difficult his life is. Kids will not only love the penguin but ruefully recognise his complaints and determination to be miserable. And they’ll laugh! First at the penguin, but perhaps at themselves too. The art work is superb. Smith cleverly uses a range of page presentations, each of them perfect for that page’s contents, plus lots of subtle variety in texture and colour despite what is mainly a symphony in black and white. **I don’t see how you could go past a plush penguin or penguin hand puppet to pair with this book. I want a Hippopotamus for Christmas lyrics by John Rox, illustrated by Simon Williams, with Bonus CD by Miranda Tapsell, published by Scholastic (2016). This cute little kitten has just one wish for Christmas—she REALLY wants a hippopotamus! How will Santa get this present under the Christmas tree? He’s going to need a bigger sleigh! ‘I Want a Hippopotamus for Christmas’ was originally released in 1953 by 10-year-old Gayla Peevey, and was an instant hit. The song has been an enduring Christmas favourite ever since. This is one of my favourite Christmas songs for kids. Don’t discount the huge educational benefit of having kids read (with their eyes) while they listen to song lyrics or other text. Besides, this song’s lyrics are lots of fun, with word play and sound silliness that will appeal to kids of all ages. Williams’s illustrations breathe even more humour and cuteness into what has been a forever wish of mine, and I’m sure most people: to have a hippopotamus for Christmas. **Perhaps a hippo toy or puppet might make a good pairing, but also consider encouraging kids to sing their own songs with microphone and recording device. The Nutcracker by New York City Ballet and Illustrated by Valeria Docampo, published by Little Simon (Simon and Schuster) 2016. RRP: $Au9.99 for the e-book, $Au24.99 for the hard cover. The publisher recommends this book for ages 4 - 8. I honestly think older kids will appreciate it too, especially those who love to dance. It really brings the classic story of the Nutcracker to life and emphasises the way the tale is brimful of adventure, fantasy and delicious tension. Docampo’s elegant art work is the marzipan icing on the Christmas cake. **Why not accompany this gift with a recording of Tchaikovsky’s Nutcracker, or a tutu or two? Readers will look for the odd one out on each spread of this stylish, 64-page picture book, packed with familiar objects, stunningly depicted in duotone. This play on the analogy of shapes makes the objects look deceitfully similar and the task surprisingly tricky! With a range of humorous visual jokes through association (an egg among birds) as well as clever shape comparisons (a plane among insects), this wordless book offers much to be discussed, and the joy of visual deciphering and categorization is sure to continue beyond its pages. Some kids aren’t yet sold on reading. I love to offer them books that are more for viewing or play in the hope that they will come to associate books with enjoyment, not fear or worry. Here’s a gorgeous picture book that combines fun with flair, and offers children the opportunity to find the odd one out. 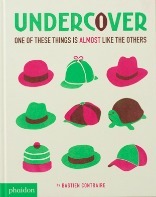 The limited palette of magenta, lime and brown and the stunning stencil print design will appeal to parents, but kids will laugh uproariously over a turtle hiding amongst hats or an umbrella hoping to pass itself off as an ice-cream. **You could accompany this book with some painting gear so kids can invent their own funny visual puzzles. This app really encourages kids to create their own stories. They must choose a stage setting, characters, props and a music soundtrack. As they slowly build a story, they can add more scenes, move characters around and even add their own voice as narrator of the story. I love the way the app has supplied art work from other Nosy Crow fairytale apps, meaning kids can be supported in re-telling familiar tales, or choose to create an all new story. **To pair with this app, how about a fairytale collection to read, or some fairytale puppet characters and a cardboard box for a theatre? Even quite young kids enjoy creating. 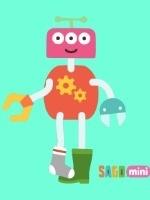 Robot Party is an app for toddlers and pre-school kids, and is from developer Sago Sago. There’s lots of fun to be had as children select their wacky robot parts, activate their finished robot, then launch it into party mode. Robots can make cupcakes for the party, dance and make music. Kids will giggle when a pickle appears in the cupcake line, and delight in slopping frosting and sprinkles on it. I really enjoyed the graphic design, the colourful patterns, the animations and the ease of navigation. Kids can save their robots to the camera roll, meaning they can go on perhaps and create stories about them. This is an excellently designed app that might be just the digital toy a pre-schooler near you will love. **A robot toy, or some cupcake making ingredients and tools would be great paired with this app. Here’s an app that’s both educational and creative, the best kind of app. RelationShapes is by developer, vizuvizu. • Match It – Exploration and discovery have free reign as children manipulate abstract and figurative shape combinations to make a match – any way they choose! • Picture It – Creativity and delight abound as children use their imagination to personalize their shape pictures with vivid accessories and backgrounds that add humor and context. RelationShapes is easy to navigate, and kids are supported by being shown a simple animation that explains what to do. I love the art work offered to kids to manipulate - simple, bold and colourful shapes with quirky extra design elements that encourage creativity e.g. googly eyes, opening doors, wheels etc. Our whole world is basically made up of different shapes, and I love that this app gets kids thinking that way and encourages them to observe shapes in the world around them. There are also lots of opportunities for kids to match, analyse, reason and problem-solve. RelationShapes increases in complexity too, while continuing to encourage kids to explore a range of shape combinations. No ads, and free is another huge plus. **A great pairing for this app would be pattern blocks or attribute blocks. 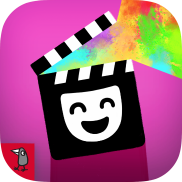 Here’s a free app from Edify Technologies that’s designed for older kids. Adults will have fun with it too! -Create music more easily than ever! Simply tap and drag to create, move, and edit notes. -Build your own ensemble from over 40 free instruments without navigating complicated menus or settings. -Connect visual patterns with sounds using our colorful, intuitive interface. -Hear your song play back in real time as you build it. -Experience our patent-pending musical system, which takes advantage of time-tested music theory principles to make sure that your music sounds harmonious. -Explore eight different sketchpads and characters, each with their own unique personality and sound. -Add measures to link sketchpads together and create a beautiful backdrop for your masterpiece! -Play all of your favorite instruments like a virtuoso. -Enjoy using high quality samples of over 40 real instruments ranging from rock and pop to orchestral. -Experiment with melodic instruments in five categories: Keyboards, Strings, Woodwinds, Brass, and Voices! -Master drums and percussion instruments from around the world. I love that Sketch-a-Song is so brilliantly easy to use, and that it encourages us to create music. There’s a tutorial to get you started but the app is intuitive and very responsive. I was encouraged to keep experimenting to make something that sounded even better than my first composition and I think kids will persevere like this too. It’s a wonderful introduction to the art of composing music and has lots of possibilities in an educational context. The app is free, but you can pay a little to get the ability to export an audio file and to get feedback. There’s still a huge amount of functionality without paying at all. Captain Jimmy Cook Discovers Third Grade by Kate Temple and Jol Temple, illustrated by Jon Foye, published by Allen and Unwin. RRP: $Au12.99. 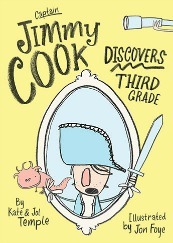 Jimmy Cook has discovered that he has quite a lot in common with the explorer Captain James Cook. No doubt they were related. So when he finds out that Captain Cook met with a sticky end in Hawaii, he's determined to travel to the island finish what he started. His parents aren't so interested but luckily Jimmy's favourite brand of cereal is running a competition. First prize: an Hawaiian Holiday. Jimmy is going to have to eat a lot of full-fibre Wheetblocks to enter, but big dreams come with a big price. And no price is too big when it comes to Captain James Cook especially if it means beating the world's most annoying person, Alice Toolie. There’s so much to enjoy about this charming book that even less enthusiastic readers will appreciate. Humour a-plenty, short chapters with decent size font, even occasional sketches to break up the text and add to the humour. Written in the form of a diary log, Jimmy Cook’s observations on school life and Alice Toolie in particular will appeal to kids 7 - 10 who are ready to be entertained. **How about pairing this book with a cool journal and pencils that can be used as a log/diary about your gift recipient’s own adventures? When a shape-shifting robot needs help to save the world, it's time for this young gamer to level up! One day, Axel is playing video games when something HUGE breaks into his garage. It’s a robot. His name is BEAST. And he's on the run from the nasty Grabbem Industries, who want BEAST back – right now! Axel has no idea that he and BEAST will soon be best friends and go on the wildest adventures you could imagine. BEAST is no ordinary robot, and Axel isn't your usual gamer. But are they awesome enough together to escape from BEAST's evil creators? Kids will be instantly caught up in this tightly and actively written chapter book about twelve-year-old gamer, Axel, who is catapulted into an adventure with a robot called BEAST (Battle-Enabled Armour Shifter Transport.) 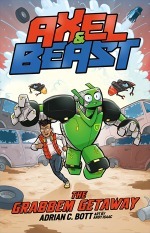 There’s lots of action, tension, and perilous feats for adrenalin-lovers to sink their teeth into, a suitably nasty and arrogant villain, and BEAST is one mighty endearing robot. All this and Isaac’s graphic art-style illustrations makes Axel and Beast Book 1, The Grabbem Getaway a particularly fine gift choice for kids not yet sold on reading. **Pairing: Toy robots come in a range of prices and are even programmable (Australian Geographic have a range here.) A movie like Wall-E would also be good. Ollie’s Odyssey by William Joyce, published by Simon and Schuster (2016.) RRP: $Au 27.99. From the creator of The Fantastic Flying Books of Mr Morris Lessmore comes this adventure story in the form of a long chapter book. Don’t for one moment think its length means it’s boring though - it most definitely is not. There’s certainly lots of narrative and description, but also snappy dialogue, tension, a scary clown-villain and his Creepy minions, Billy - a likeable hero - and his favourite, the brave and endearing Ollie. I would recommend Ollie’s Odyssey to children who are reading beyond their years, but are not mature enough for some of the themes in most middle grade and YA books. Kids who love the original Winnie the Pooh books, the story of The Nutcracker, and other classics where toys come to life will be intrigued by Ollie’s Odyssey. I also think it makes a great acquisition for libraries. **Book or movie pairings might be good for this one - Toy Story, Winnie the Pooh by A.A.Milne or The Velveteen Rabbit even. 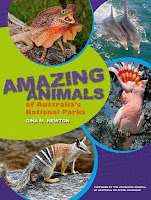 Amazing Animals of our National Parks is by Gina Newtown, published by NLA Publishing (2016). RRP: $Au29.99. I think it makes an excellent gift for the whole family. It’s one of those books you can leave on the coffee table, available to anyone for dipping into. 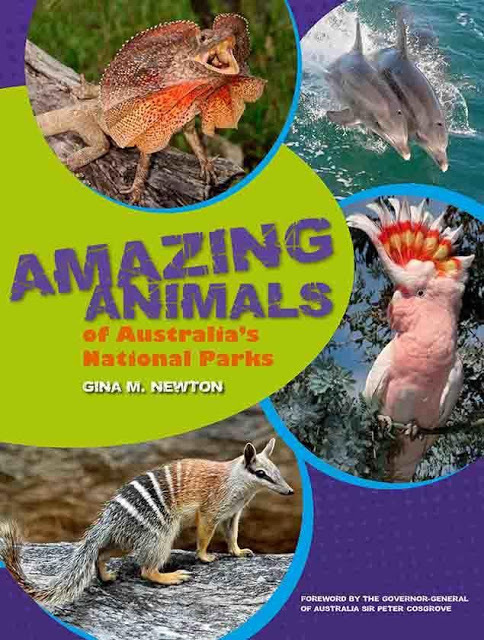 It would also be great as the basis for family outings, where you could visit the listed National Parks, or “collect” the animals in the book by photographing them on family bush walks. Read more in my original review. **A great pairing to go with this book could be a compass and a pair of junior binoculars. 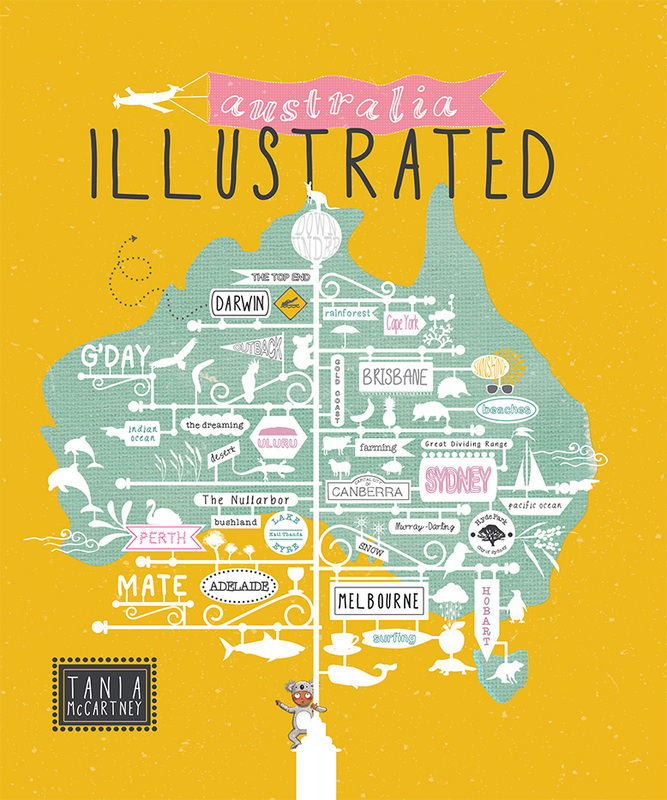 Australia Illustrated by Tania McCartney, published by Exisle (2016). RRP: $Au29.99. Australia. Big. Beautiful. Diverse. From the First People to washing lines and crocodiles, football and sunshine, koalas and akubras, skyscrapers and beaches that squeak, this 96-page picture book is a glorious tribute to this wide brown land and its rich and varied multicultural communities. Vibrantly illustrated with watercolour, ink and mono-printing, Australia Illustrated not only celebrates the more ‘typical’ Australian flora, fauna and landmarks, it also showcases the everyday quirks and idiosyncrasies that make Australia unique: the many types of rain, Greek street food, Sydney ferries, cattle breeds, the plants of the Daintree. Even the quokka selfie epidemic is featured! Divided into Australia-wide entries as well as state and territory specific elements, readers will learn more about the endemic plants, animals, foods, landmarks, sports and oddities that make the regions around Australia special. Whimsical, humorous, high in detail, and guaranteed to delight both children and adults, this is a portrait of Australia like you’ve never seen it before. Grab your snorkel. Let’s dive in! Australia Illustrated has intense visual appeal. McCartney understands both graphic design and book design, and harmoniously brings the two together in this visual tribute to Australia. Inside you’ll find snippets and tidbits of Australian features, from ferries to fanciful place names, from ferns to flavours of gelato. I loved that I might turn the page and be surprised by the format of a magazine cover to display marsupials or a gorgeous graphic showing how chocolate is made. All readers are sure to appreciate McCartney’s enthusiasm for our rich and varied cultural heritage, and youngsters will giggle over the visual metaphors and quirky details. My nicely bound, large format, hard cover copy is currently our coffee table book of choice, one visitors have already dipped into and exclaimed over. 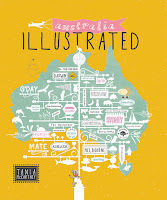 As well as something different for your immediate family, Australia Illustrated would make a great gift for someone overseas - a nostalgic reminder to Aussies far from home, or a tasty sampler for those world citizens we hope will make a visit here. **The very best pairing I can imagine for this book is to sit down as a family and plan places in Australia you want to visit and what to do when you are there. The gift of our time is truly precious. Primates generally are a perpetual source of fascination to we humans. Here’s a beautifully written and illustrated book that not only educates us but also entertains. 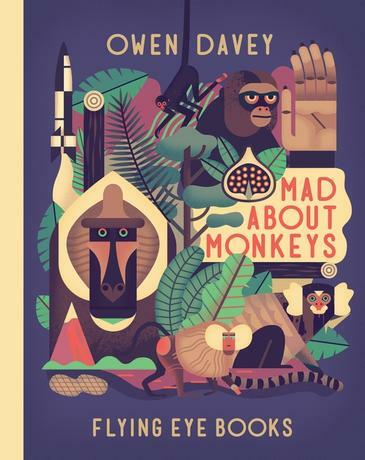 In a conversational, easy-to-read style, Davey lets us in on monkey secrets like that monkeys lie to each other and steal from people. 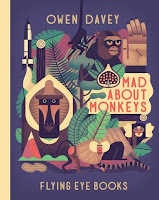 Kids will enjoy the humour of Headings like: Is a Monkey my Uncle? and Thief! He stole my Handbag! Both children and older family members will appreciate the wonderful graphic design and the fascinating information. This beautiful quality hardback publication makes a coffee table book guests too can enjoy. **How long since you went to the zoo with your family? A great pairing would be a trip to the zoo with your kids. G’day! Welcome to a collection of my most favourite and fun DIY projects. They’re easy to build and, best of all, you’ll end up with toys and games that the whole family will treasure. So jump on the DIY bandwagon and get building! This is a DIY book that I know both parents and kids will appreciate. I love to think of adults and kids poring over the book together, trying to decide what to make first. There are 16 projects with clear step-by-step instructions and helpful diagrams and pictures. These include a billy cart, toy car garage, box kite, footy goal, swing and loads more. Rob Palmer is a popular TV personality, known to many people because of his enthusiasm for DIY and home improvement as evidenced in shows such as “Better Homes and Gardens” and “House Calls to the Rescue”. I like that he’s chosen projects in this book that will make kids’ eyes light up, but has also given detailed instructions in plain English that even the un-handiest parents will cope with. Projects include tool and shopping lists, and lots of top tips. 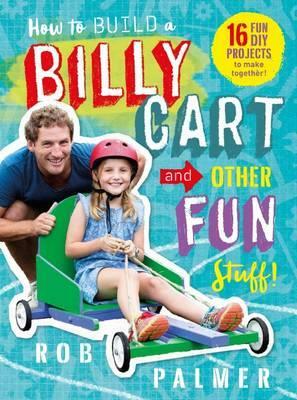 **Why not pair this family book with a box full of materials and tools to make one of Rob’s projects? It wouldn’t be a Christmas Gift List without me mentioning one of my favourite authors for adults. I have read and enjoyed every other Moriarty novel, Three Wishes, The Last Anniversary, What Alice Forgot, The Hypnotist's Love Story, The Husband's Secret, and Big Little Lies. Truly Madly Guilty was no different. I love to try to analyse what makes a novel enjoyable and memorable for me. 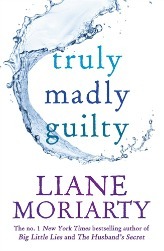 Does Truly Madly Guilty have believable, quirky and likeable characters? Check. Does the story start with a hook? Oh, yes. Is the book tightly and well-written, with the author’s focus on telling a good story well? Absolutely. Does the reader get drama, humour, believable dialogue, plot twists, and lots to think about thrown in? Yes, yes, and yes again. If you're looking for a great, newly published book that's a darn good read, to gift or grab for yourself, check out Truly Madly Guilty. **Pair this book with a book voucher, and really extend the literature experience! The River Cottage Australia Cookbook by Paul West, photography by Mark Chew, illustrations by Kat Chadwick, published by Bloomsbury (2015.) RRP: $Au45.00. 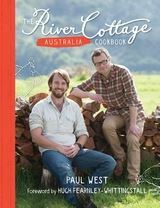 You don’t need to have watched the River Cottage series on TV to appreciate the The River Cottage Australia Cookbook. It is immensely readable - each page reveals West’s enthusiasm for, and knowledge of, good food. He’s not preachy but it seems he accepts what Hugh Fearnley-Whittingstall says in his foreword: that we’re all on a continuum where food is concerned - from the extreme right with “complete dependence on industrialised producers and big retailers” to those further left who aim for self-sufficiency. West’s recipes sound wonderful, and even the recipe introductions contain tips and tricks foodies will appreciate. I hope that, like me, someone in your family will delight in this gift about the daily celebration that is food. Recipes and procedures from the book I must try: Flathead Steamed in Seaweed, Smoking your own trout, Sourdough starter, Banana Tarte Tatin, Braised and Barbecued Pork Spare Ribs. **A great pairing for this cookbook would be a cooking gadget, some exotic ingredients or the DVD of the series. Many a parent has been dismayed when they’ve given an expensive educational gift, only to find that their kids prefer to play with the box it came in! I tend to think it’s best to detect interest within a child for one of the ideas below BEFORE you take the plunge. It also helps to work WITH your kids on various projects, slowly withdrawing as you see your child grow in confidence and independence. The very best gift we parents can give is the gift of ourselves and our time. If that means ignoring Facebook or housework - that's a small price to play. Building happy memories is, and always should be, a holiday focus. Swift Playgrounds is a free app for learning serious code on the iPad. You might also like to read: Top Book Gifts for Kids, 2014 and Bookish Christmas Gift Suggestions for Kids, 2015.